Alturna Networks was founded in 2006 and consists of a team of professionals with many years of experience in the field of technical engineering, warehouse management, marketing and international sales of network equipment. Our international staff is English, German, French, Italian, Spanish, Polish and Dutch speaking. We operate on a global basis. Alturna Networks is an enthusiastic sales organization. An inspiring place where employees feel well. 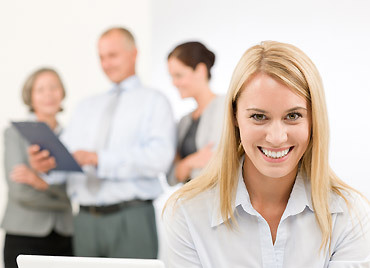 Employees are stimulated to further develop themselves professionally. We strive to maintain a healthy balance between work and personal life. Employees are being motivated to come up with new ideas and self management is required. We are not a flashy sales organization. We believe in long term partnerships; not in short term gain. We are the cost effective high quality alternative for your network! Buying pre-owned network equipment saves you a lot of money. Our discounts range between 50% and 95% of the list prices of new products. With our constant focus on optimizing internal processes we are able to offer our customers very competitive prices as well as flexibility, fast response and the highest quality of equipment available in the market. However, we understand your hesitations to buy used equipment. You might have concerns about quality; will the products you receive meet the demands of your network? Can you be sure of timely delivery? Will there be a warranty? How can you be sure your supplier of used equipment is as good as your present supplier of new equipment? These are valid concerns. Alturna Networks employs professionals with many years of experience in the field of Cisco, Juniper and Brocade. We understand how important timely delivery is to you. It is crucial equipment to your network. A delay could be disastrous. We supply many internet service providers, telecom organizations and multinationals with high-end equipment and therefore understand deadlines. Our customers cannot afford downtime.When it comes to quality; all our products are thoroughly tested to make sure they work perfectly. Every piece of equipment is tested in our in-house test laboratory conform the Alturna Networks Quality Control Program and the Alturna Networks ESD Control Program. We are that convinced about the quality of our products that we offer our customers a lifetime guarantee on all our products. The longest warranty in the industry! Our aim is to build a long term partnership with you. We understand that reliability and consistency are what you should be able to expect from your supplier. Alturna Network does not over-promise and under-deliver! Superb Quality. Alturna Networks understands the importance of superior quality. Our Quality Control Program is designed to meet the highest standards and to make sure all products you receive are in perfect condition. In addition to our Quality Control Program our products are tested, handled, stocked and packed according to the strictest regulations of the Alturna Networks ESD Control Program in our ESD controlled in-house test laboratory. Lifetime guarantee. We are that convinced about the quality of our products that we offer our customers a lifetime guarantee on all our products. The longest warranty in the industry! Price: the best prices available in the industry. Our equipment is available at 50-95% discount compared to the manufacturer list prices. By optimizing our stock and by keeping our overhead costs as low as possible, we aim to save our customers as much as we can. Fast delivery. Our sales force is quick to respond and we aim to supply our customers within 2-5 working days.